He was spotted during one of the hottest days of the year – in the Nevada (desert) Virginia Range. He appeared to be about 2 months old. 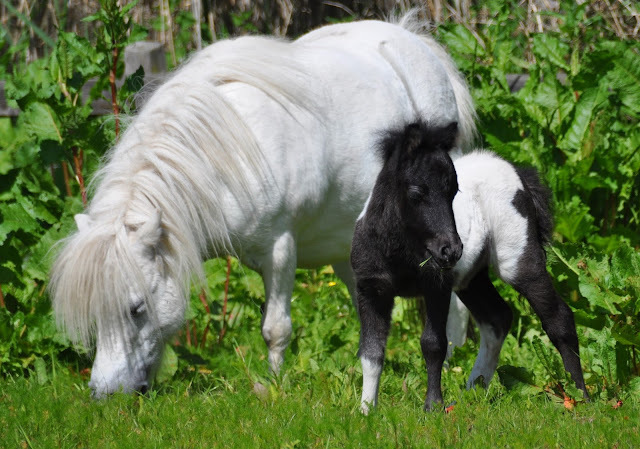 A foal. Unable to stand and follow his herd. His mother was upset and hovering. Tragically, even with her encouragement, he couldn’t rise -so his band had to leave him – in the sun. Luckily workers in the area saw him and knew to call Wild Horse advocates. The workers sat with him to comfort this very ill baby… they did their best, begged for aid and even paid for his Emergency Aid. 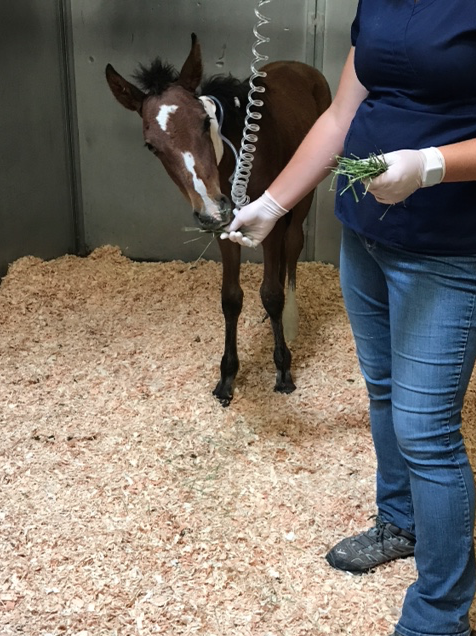 The foal was picked up, literally, in ER veterinarian’s arms and given immediate oxygen/fluids – then transported to a nearby equine hospital. 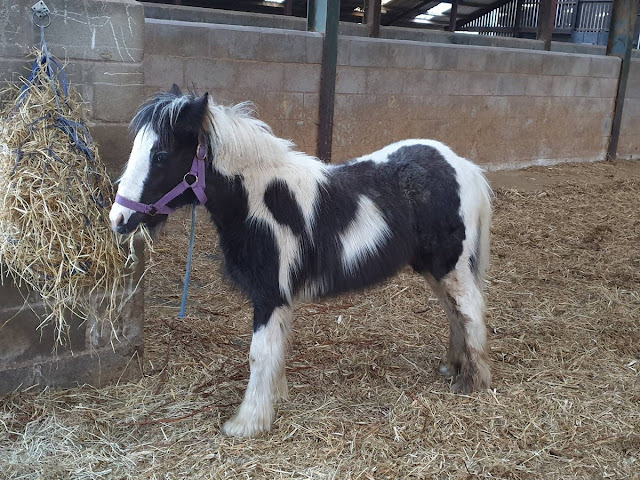 At the hospital, it was discovered that this little foal was suffering heat stroke and severe pneumonia. It was touch and go but little Milan (the name of the street where he was found) is responding to treatment. 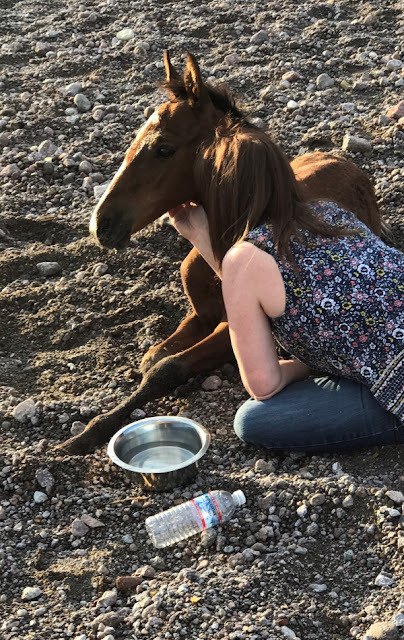 It appears that he was a victim of a nearby wildfire – smoke inhalation which is more of a hazard to horses than the fire. 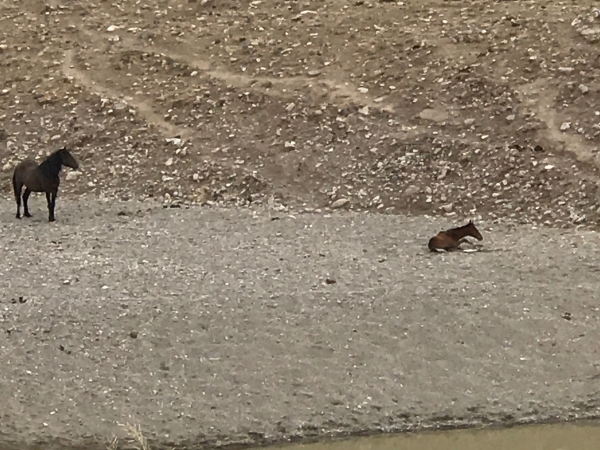 The horses escaped to a pond area where the slope was covered with rocks to control erosion. 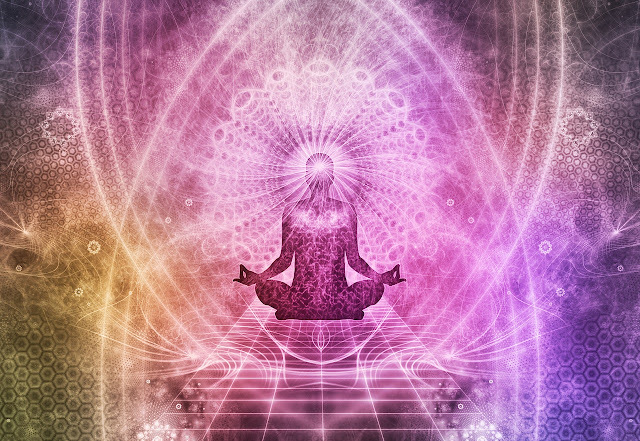 The smoke and stress likely triggered his condition. He has some lung scaring but he’s young enough that the vets feel that as he matures the scars will be replaced with healthy tissue. 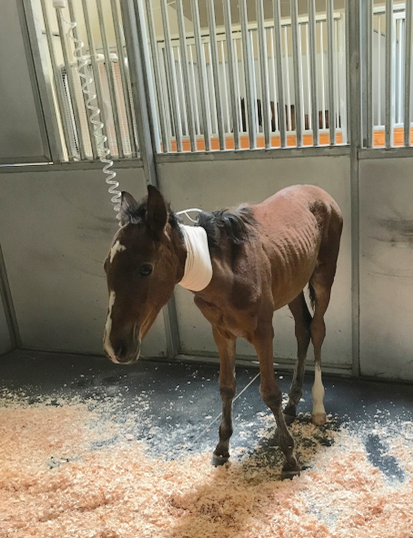 This little guy is still on mega-doses of antibiotics as well as probiotics and special feed Horse and Man are currently raising funds to help Virginia Range Sanctuary, LRTC and LBL cover the cost of his medical bills and rehabilitation if you'd like to help please check out the original post here where you'll find a link to donate.